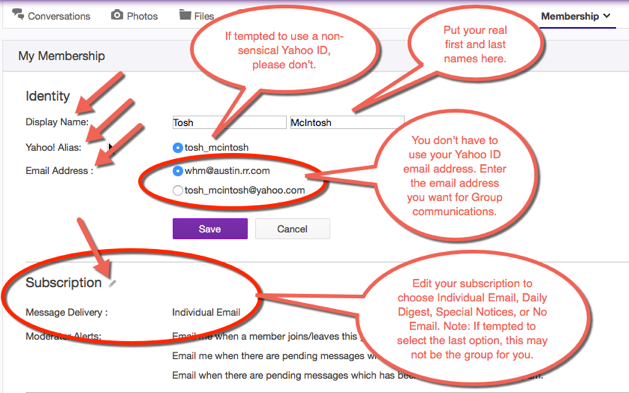 If you do not already have a Yahoo Account and ID, you’ll need one. Note: It’s free, and you will automatically be assigned a Yahoo email account, but you do not have to use it to be a member of the group. Enter the required information (see the notes below) and the message to Admin. 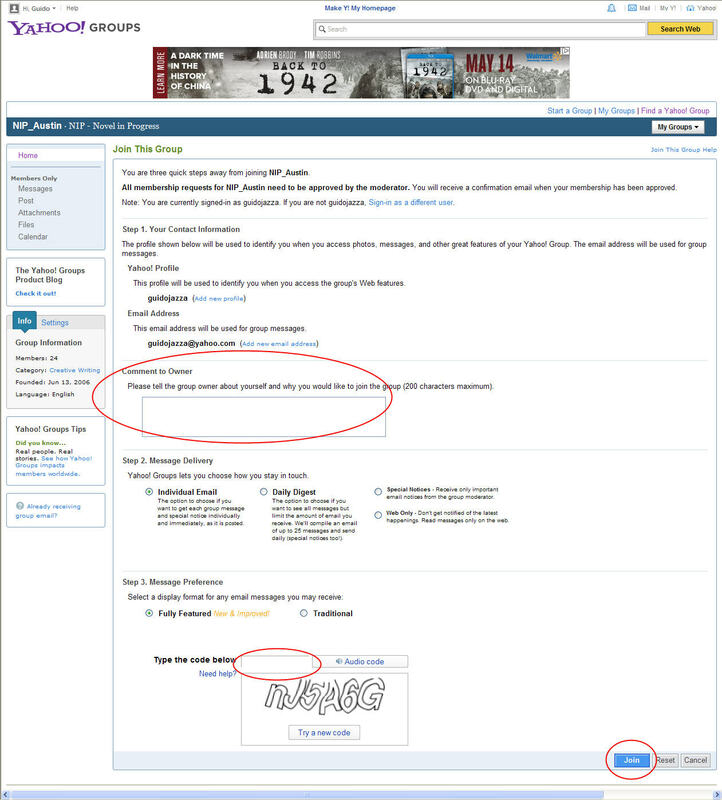 These steps will send your request to the group administrator, who will acknowledge receipt with a welcoming email. Membership requires attendance at a meeting as a guest, after which you can confirm your intention to join and expect to promptly receive approval. NOTE: During the signup process, please ensure that you provide your First Name, Last Name, Yahoo Alias, and the email address you wish to use to receive notifications from the group. 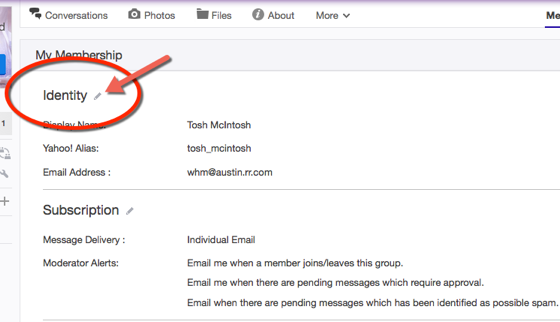 You do not have to designate the Yahoo email address that uses your alias. In addition, select one from the list of options provided for how you wish to receive notifications: Individual Emails, Daily Digest, Special Notices, or No Email. If tempted to choose the last option for email notification, you might want to reconsider joining the group. We don’t fill your inbox with junk, and it’s one of the primary ways we send out notices that affect all the members, such as unexpected ARC closures. NOTE: When your request to join is initially received, we can’t confirm that the required information has been entered until after we approve it. If any information is missing, you will be asked to enter it, and you are the only person who can do that and make or later modify your email preferences. Anyone who ignores this requirement will be removed from the group. We apologize for this hard-line stance, but we cannot accept requests to join in which there appears to be an attempt to hide the real identity of the individual seeking membership. Screenshots below illustrate the process. Note: The screenshots might differ somewhat from what you will find depending on changes Yahoo may have made to page formatting since they were taken. For an expanded view of a screenshot, click on it and use the back button on your browser to close it.